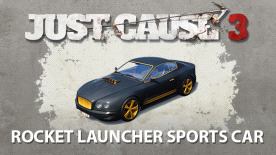 This product requires the base game Just Cause 3. For the more refined combat professional, drive the Kerner Serpente R12 sports car with precision rocket launchers elegantly engineered right into the hood. Just Cause 3 is required to play this DLC.